If you happened to stop by bungalow TMC 102 on the UC San Diego campus this July, you’d likely find a group of highly engaged middle and high school students busy solving problems like “the handcuff puzzle,” “the toothpick problem,” and “the clock hands problem.” These and other intriguing mathematical challenges were a part of the first UC San Diego Summer Math Academy (SMA). 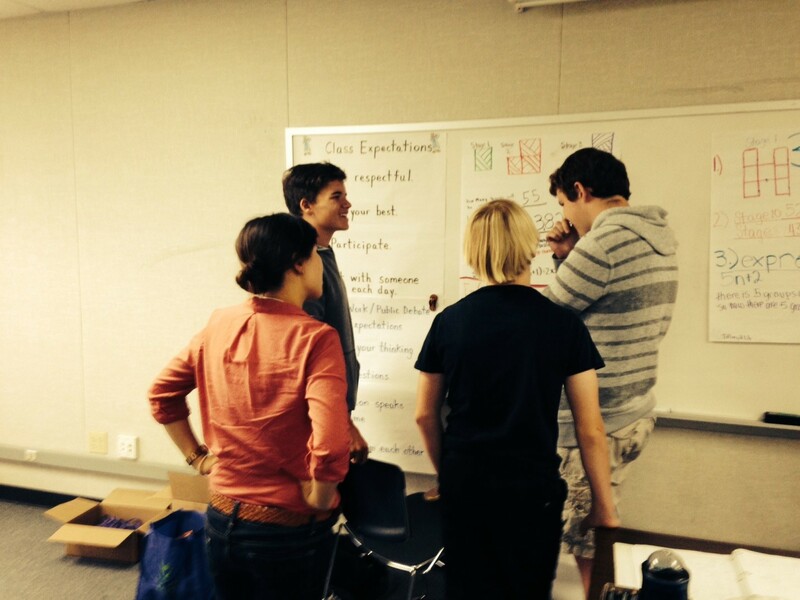 The SMA is a new student-centered project developed and taught by Math for America San Diego fellows, a corps of selected, exemplary math teachers. Launched in 2008 and housed in CREATE, UC San Diego’s Center for Research on Educational Equity, Assessment, and Teaching Excellence, MfA SD is a mathematics fellowship and teacher professional development program dedicated to improving regional mathematics education. MfA SD supports a variety of K-12 mathematics activities including projects developed through the CREATE STEM Success Initiative, a UC San Diego effort to leverage university resources to support high need students to succeed in Science, Technology, Engineering and Mathematics (STEM). At the Summer Math Academy, middle and high school students explore mathematics concepts in an open, supportive and interactive setting. Students learn by working in groups in order to strengthen their math content knowledge and share problem-solving strategies. 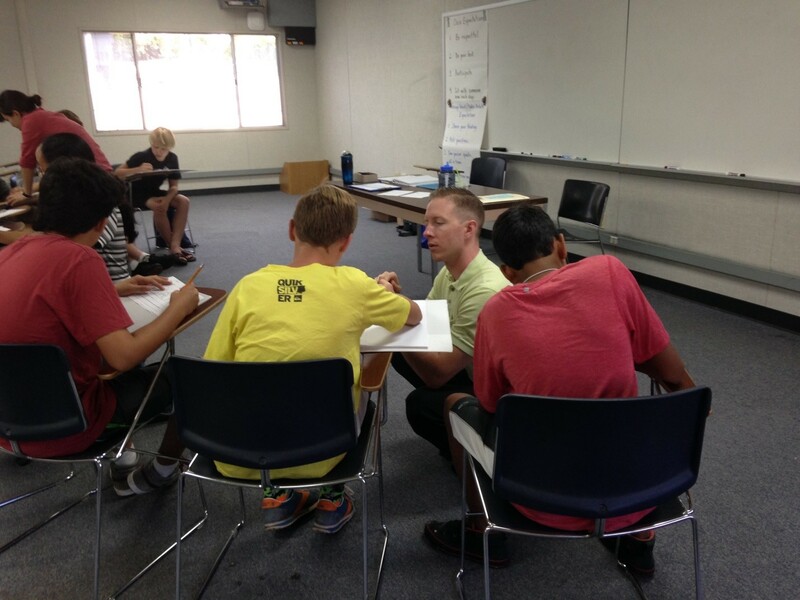 The SMA is part summer school, part professional development; students attend the academy in the mornings and Math for America San Diego fellows debrief in the afternoon to discuss the lessons from the morning and plan for the next day. SMA curriculum features learning and teaching approaches of the new Common Core State Standards – Mathematics (CCSS-M), including eight mathematical practices designed to prime students for their next math course. The SMA middle school teaching team included Gen Esmende, MfA SD Master Teaching Fellow and teacher at Wangenheim Middle School; and Eunice Lee and Brett Patrick, MfA SD Fellows and teachers at Madison Middle School and Bethune Elementary and Middle School, respectively. Middle school students spent part of one morning understanding patterns and expressions. 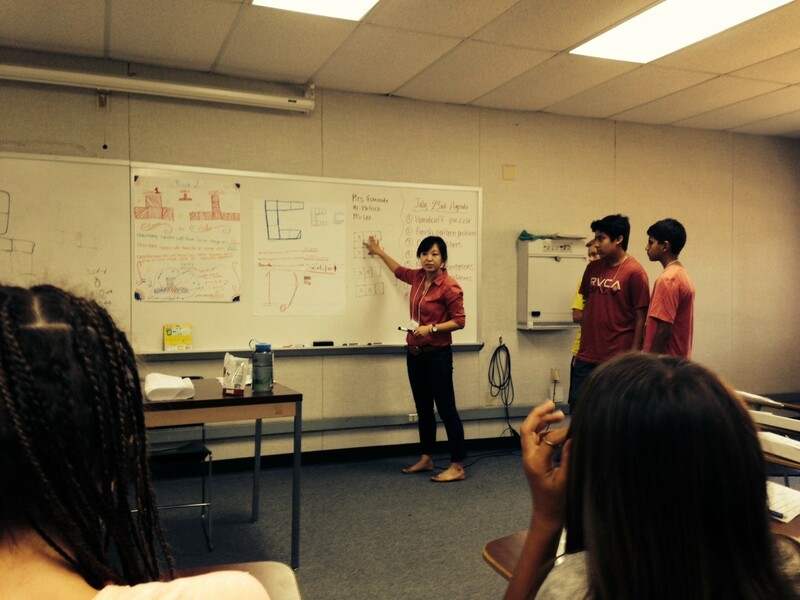 Eunice Lee, pictured above and below, worked with students by asking them to reflect on how they reached their solution and then to articulate their thinking processes with others. Throughout the week, middle schoolers in the middle school academy worked closely, forging friendships over math challenges. Students talked with each other as they worked, thinking out loud and answering each other. Deeply engaged with the process, students discovered there were no wrong answers — just answers that could be clues to finding the right answer. “With the pattern activity, we really wanted students to be able to make sense of how the structure was growing and connect that to an algebraic expression,” said teacher Esmende, above. 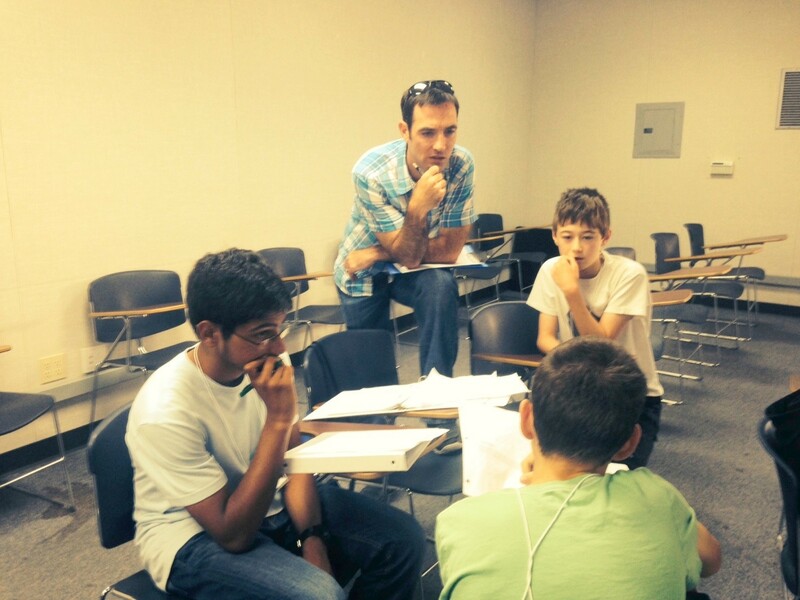 “We believe the students gained deeper reasoning skills by engaging in these types of pattern problems, and especially with our emphasis on the “PPG” — how the general expression directly connects to the meaning of the pattern, picture, and its growth,” added teacher Patrick, pictured above. The high school Summer Math Academy focused on arithmetic sequencing and motion and rate problems that incorporated CCSS-M ways of thinking. The SMA encourages usually reticent students to step forward and explore new ways of understanding concepts presented by each problem. 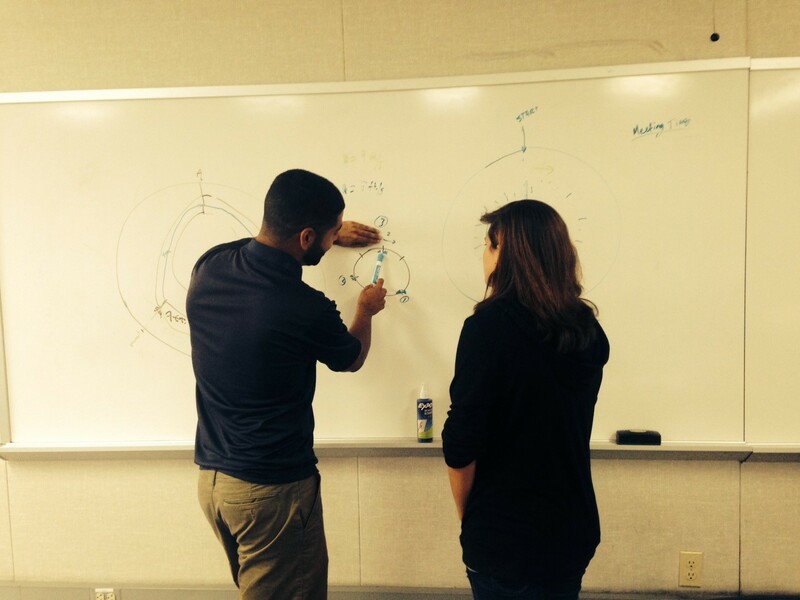 Here Aurmon Harchegani, SMA instructor, MfA SD Fellow and teacher at High Tech High Chula Vista, helps explain the track meet problem. 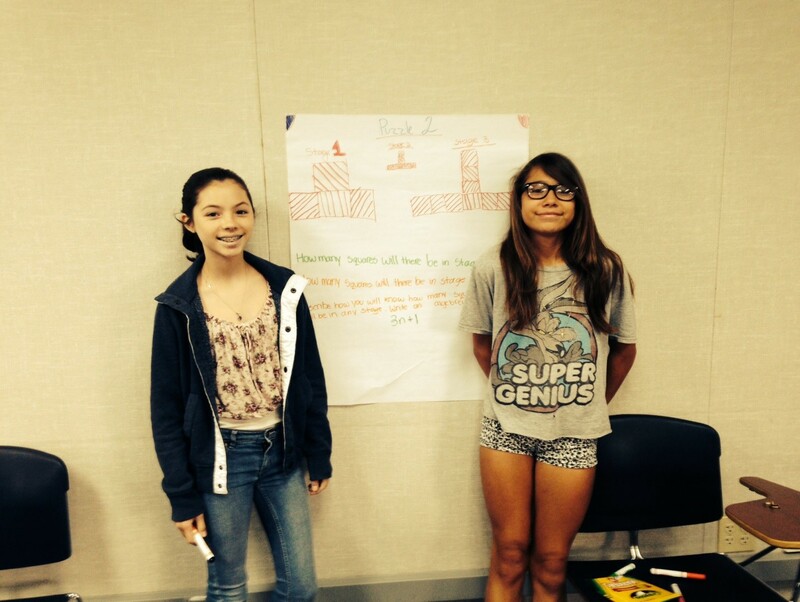 As part of the learning process, the UC San Diego Summer Math Academy asks students (like the two pictured here) to explain to others how they reach their solutions. The UC San Diego Summer Math Academy is one way the CREATE STEM Success Initiative is helping to leverage campus-housed programming to regional K-12 students. 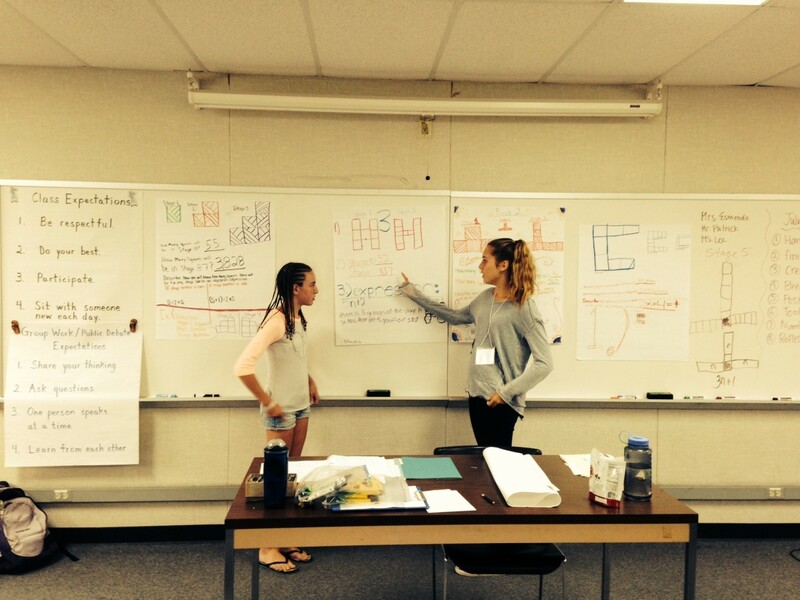 MfA SD plans to offer the UC San Diego Summer Math Academy for incoming seventh through tenth graders next year, and the Academy’s teachers are excited to share their work with other teachers. 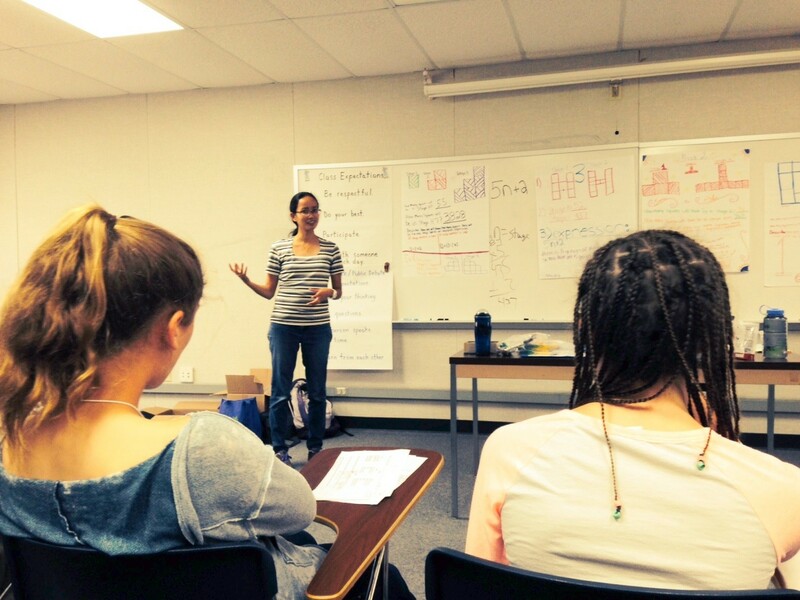 For more information, contact Math for America San Diego at sandiego@mathforamerica.org. I’m impressed, I have to say. Really not often do I encounter a weblog that’s both educative and entertaining, and let me inform you, you may have hit the nail on the head. Your concept is excellent; the difficulty is one thing that not enough people are speaking intelligently about. I am very completely happy that I stumbled throughout this in my seek for one thing regarding this.